It's never too late to give the gift of art. And there is a lot going on in the world of prints, editions, art-objects and high-design pieces. I find it a no-brainer for those who love art but can't pay the steep prices of the art market to take advantage of having an edition by a great artist at an accessible price. What a better time to do it than now? Here is my selection. Happy Holidays! Jen Stark's "Tunnel" at the Paul Kasmin shop. What an amazing piece, a true sculptural work that also adds electricity and it's by a rad artist. I'm down! Turkish artist Taner Ceylan produced this set as part of Istanbul Modern's 10th Anniversary Special Collection. Turkish people are known for drinking some of the strongest coffee in the world and the snake is a symbol for respect and power. These may be two words that are kind of ambivalent when put together but I think of Tracey and her work as a combination of romance and beauty woven with the strength and determination of a feminist. It could probably be the least expensive embroidery by Tracey Emin that anyone can ever get. 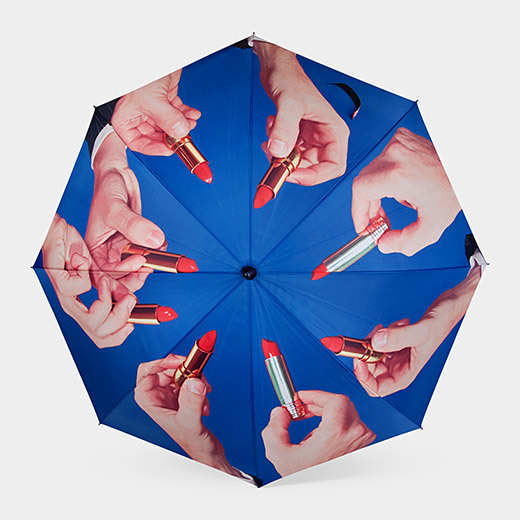 There's nothing fun about the rain, much less in New York City, but with an umbrella like this, I would pray for rain. This is probably considered a bargain next to other Hirst's pieces and of course is made of 18K gold, rubies, white diamonds and black diamonds. A true gem. Leave it to the guys of Snarkitecture to create something amazing and cool. Every time. These headphones are not only comfortable and high-tech, but they come with their own pillow so that they too, can rest at night. Brilliant. I'm yet to see a better pair of tea towels than these two. And I was so blown away by Ofili's retrospective at the New Museum that if anyone can get a piece of his genius for a nominal amount, these should be.